The Nigeria Labour Congress, NLC, in Benue State, yesterday expressed shock over the alleged withdrawal of the final tranche of the Paris Club refund earlier paid to the state government. 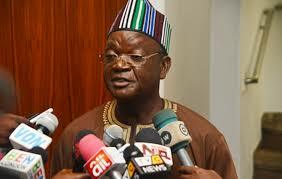 Governor Samuel Ortom had last Thursday confirmed the receipt of N 14.9bn Paris Club refund. Also on Monday, the governor directed the state Ministry of Finance to commence the payment of workers’ salary arrears and allowances to pensioners. But in a new twist, the federal government allegedly recalled the Paris Club refund for yet-to-be disclosed reason. In a chat with the media yesterday in Makurdi, the state Chairman of the NLC, Godwin Anya, said; “I don’t know the reason for the recall of the Paris Club loan refund. “Everybody has been expecting to be paid because the governor on Monday directed the payment of salary arrears. Speaking also in Makurdi, Bukka insisted that the Federal Government had embarked on a systematic witch-hunt of some state governments probably for political reasons at the detriment of the ordinary Nigerian and civil servants. He said: “In the first place, it is not the responsibility of the Federal Government to monitor how states disburse and utilise their funds. Moreover, the Paris Club refund was only warehoused by the Federal Government on behalf of the states; it is not a gratification or loan. “So, the Federal Government lacks the powers to recall the money, which belongs to the state from the onset. As far as we are concerned, this is the height of impunity, executive recklessness and a witch – hunt against the ordinary Nigerians who were expecting to get the backlog of their salaries from the fund. “We just wonder if this Federal Government has the interest of the ordinary people at heart. Just take for instance a state like Benue that has over time been contending with socio-economic and security challenges as a result of the lingering herdsmen killings, and you want to treacherously sit on their legitimate funds. “No doubt, this directive will cause collateral damage to the socio- economic life of the government and people of the affected states. Hence, it should be reversed without further delay because even if the states fail to transparently appropriate the funds, they would have the people to contend with.